Lewis Hamilton is expecting a more aggressive Valtteri Bottas this year, hailing the Finn's determination at Mercedes. Bottas joined the Silver Arrows at the start of the 2017 season, replacing Nico Rosberg who retired after winning the world championship in 2016. Bottas picked up three victories throughout his maiden year at the team, but failed to climb onto the top step of the podium last year. 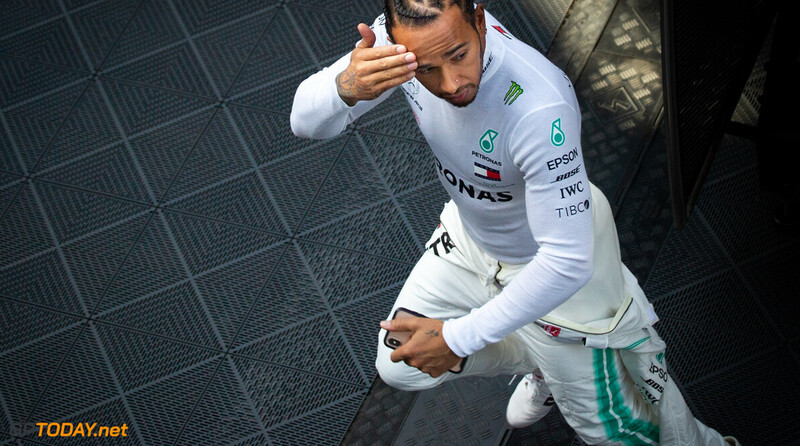 Hamilton is expecting his teammate to push harder than ever this year, and be more aggressive after a lacklustre 2018 campaign. “I’m not someone that generally has expectations of anything, but I would assume that he’s going to try and be more aggressive this year,” Hamilton said. “I’m sure he’s going to be pushing harder, I’m sure he’s pushing harder on his training. “He’s always been incredibly determined since the day he got here, and that’s not wavered. “I’m sure he knows where he’s got to put his focuses to, working with his guys on the other side. I see the top of his head beyond the screen, so I don’t really know about his difference in approach, but I’ll see that once we get into the racing this season. Mercedes has won five world championships consecutively, and Hamilton says that in the last two years, the former Williams driver played a vital role in defeating rivals Ferrari. "He’s a very important ingredient and part of the reason why we have such a great atmosphere within the team,” he said. “The team are really pushing both of us with absolutely every bit they have to elevate us. So what are you saying, Hammy? You let out his leash another centimeter or so? He needs to figure out how to get under the Hamster's skin. That's when he's at his worst. False praise or what? Hearing that Hamilton thinks he's humble should make Bottas cringe at this point. He obviously needs to get more aggressive. He needs to set the tone for the season early or Hammy's gonna walk all over him, again.